Coffee and Side Tables, Fritz Hansen. 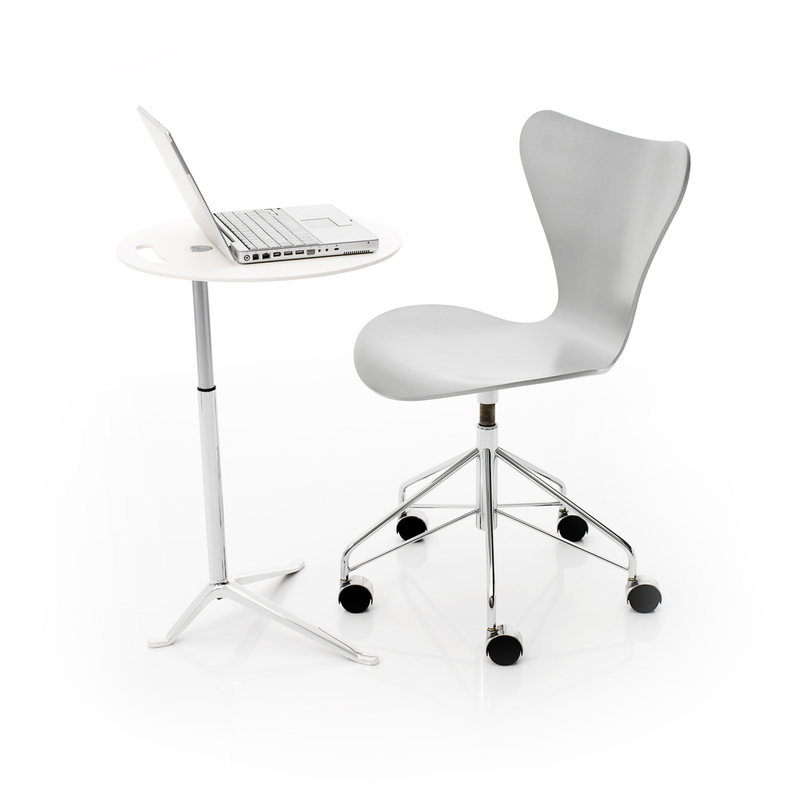 The multifunctional table Little Friend™ comes in the height-adjustable version. 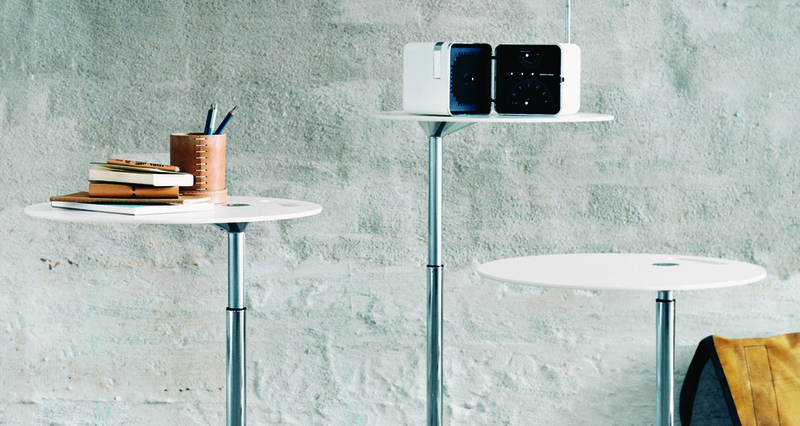 The table top is made of compact laminate in a variety of colours or with a veneer surface in oak or walnut. The base is made of a mirror chromed steel tube, and the foot is pressure moulded polished aluminium. The base is also available with a lacquered base in colours matching the compact laminate table tops. 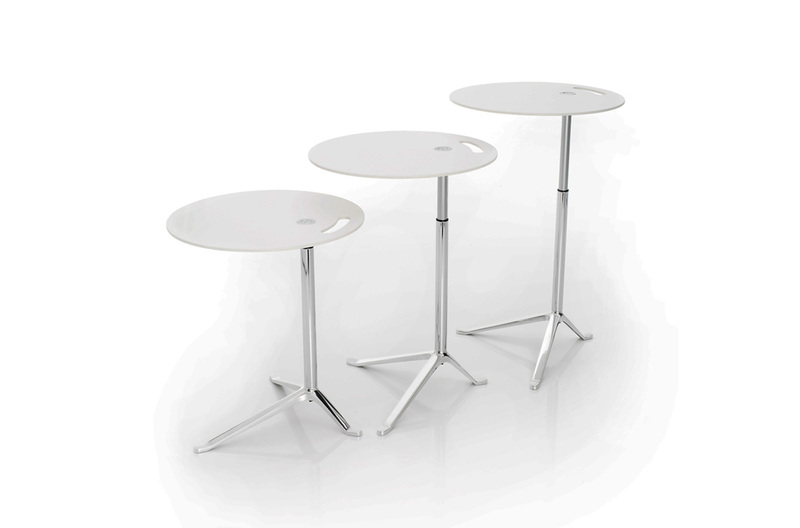 White laminate top, chrome base with white-painted feet. Diameter 45 cm. Adjustable height.